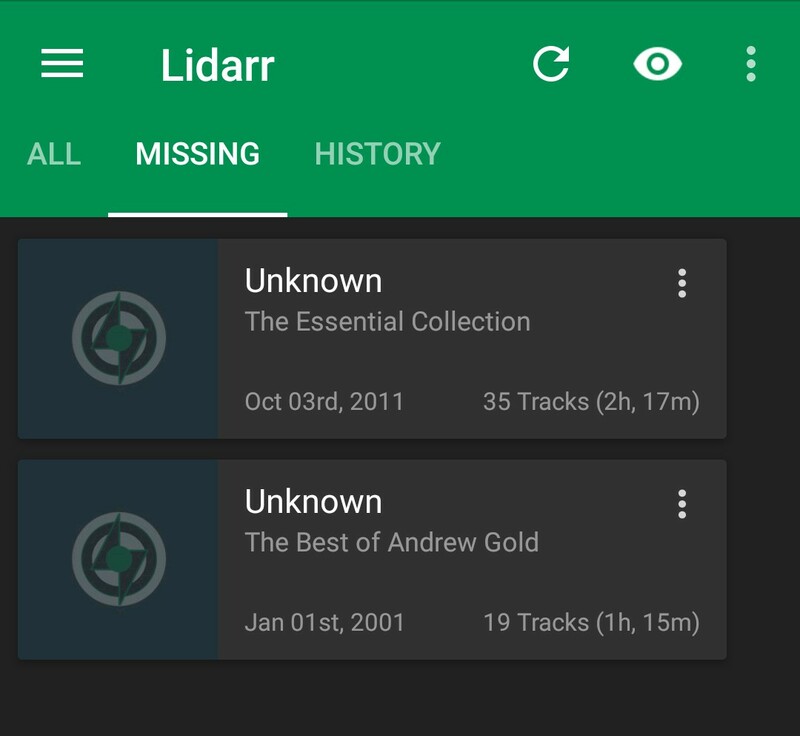 In the MISSING tab in Lidarr, there is no ARTIST name displayed, other than UNKNOWN. In the web browser, on the WANTED page, the artist is shown. Just thought I'd let you know, as I know this is a new addition to the app. I can supply screenshots if needed. @cbers, I am not seeing this. Haha, that's what resulted in the crash @cbers. I don't know why your instance has no artist attached to missing albums. To fix the crash, I just handle it and put unknown there. 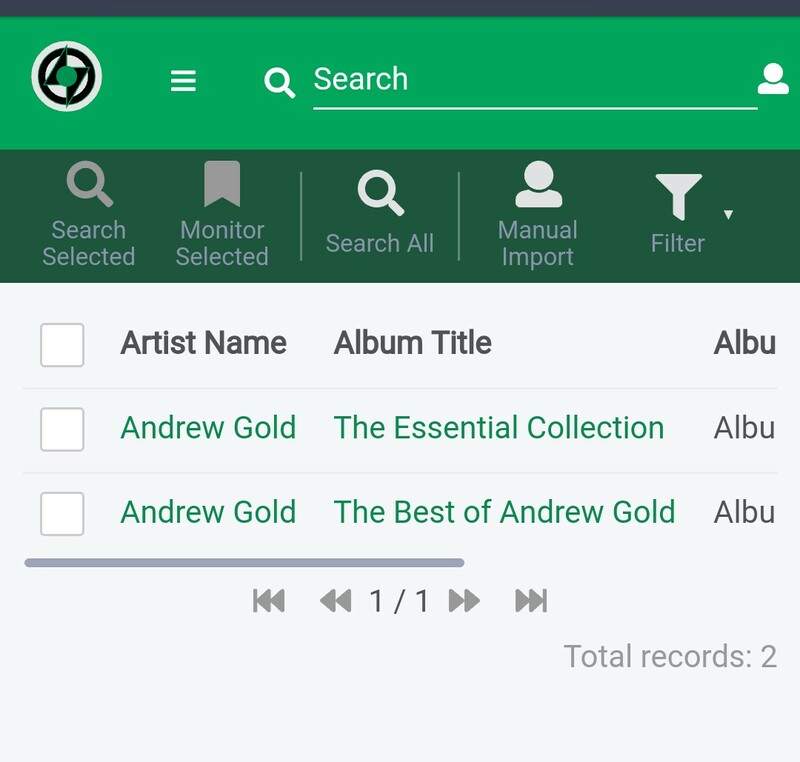 I only have 2 albums by ANDREW GOLD as wanted. As I said, the artist name shows in the browser. Thanks @mediacowboy, but that's what I have set already. Just realised that my son is running Lidarr as well, so I added his details to the app and his ARTIST NAMES show up fine. He is running v0.2.0.371, which is the DEVELOP branch. So possibly an API change?